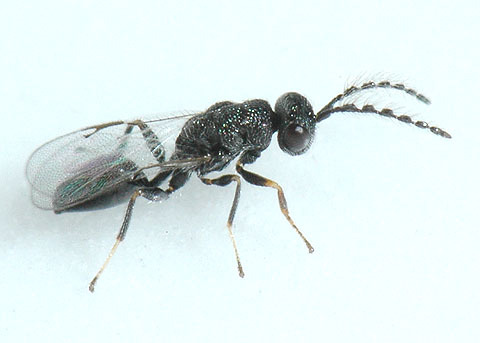 The strongly sculptured dull black appearance, punctate head and thorax, rounded, smooth, and compressed abdomen, hairy antennae, short marginal vein, and rectangular pronotum indicate this family. This is a male. Many are phytophagous and are associated with galls. Nice pics Peter.